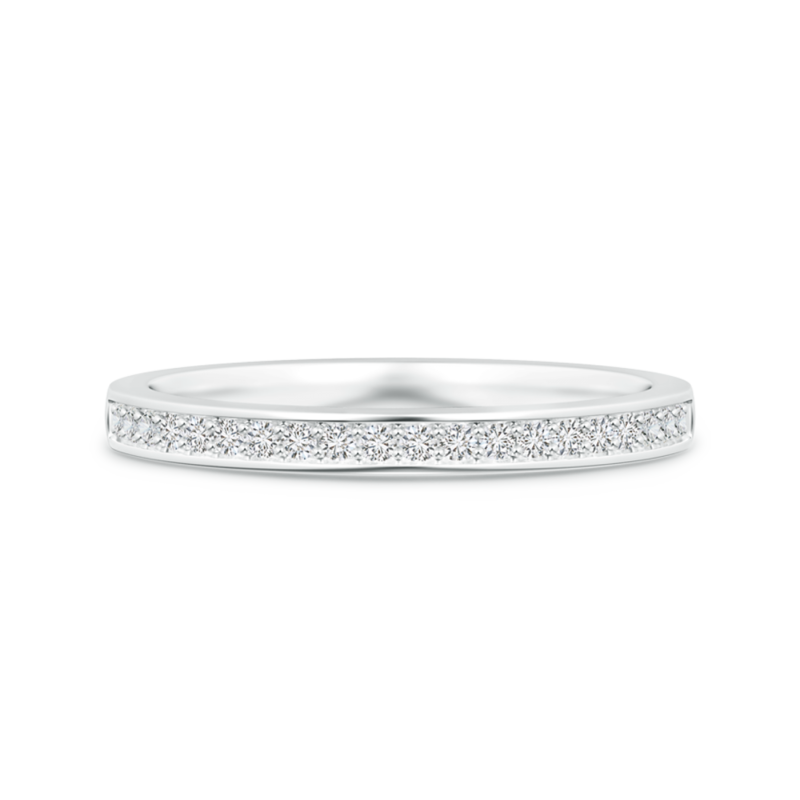 This delicate and alluring half eternity wedding band showcases brilliant lab grown diamonds in pave setting. Designed in 14k gold, this piece is the perfect expression of unending love. This charming design has been popular for centuries and continued to remain extremely prominent until the late 1940s. It was also frequently featured in jewelry belonging to the Edwardian, Art Nouveau, and Art Deco periods. This style typically showcases two prominent stones that symbolize love and friendship. Designs are sometimes also accentuated with diamond accents or other gems. The charming and timeless two stone style is now back in the spotlight and can be seen is a variety of jewelry pieces.